The hand of the artist (or artist’s had) refers to the evidence authorship in a work of art, identified by any evidence of the artist’s mark in the piece. For example, the brush strokes left in paint, the delicate modeling of a sculpture, and even the general emotive qualities of a piece and all be described as the artist’s hand and used to uncover the artistic process of creating the art. This the proof left behind that reveals or provides insight into the artist’s role in creating the art. An expert can spot an unsigned Picasso as genuine merely by identifying Picasso’s one-of-a-kind handling of every medium he ever tackled. There’s something deeply personal when an artist gives his hand, his unaccredited collaborator if you will, a cameo. 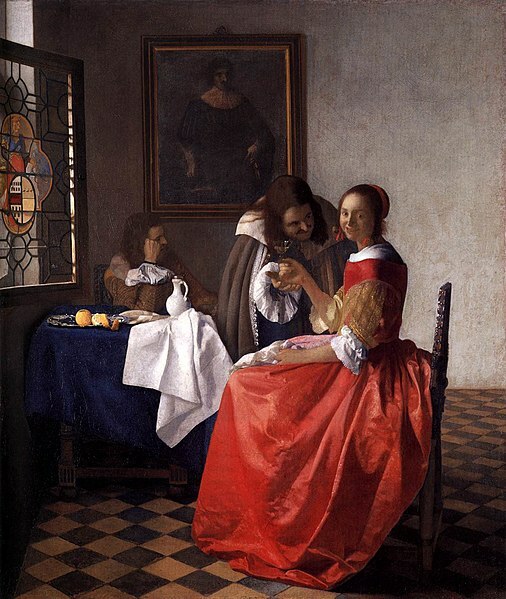 Below are two good examples of Vermeer’s “hand” putting authorship to his work. 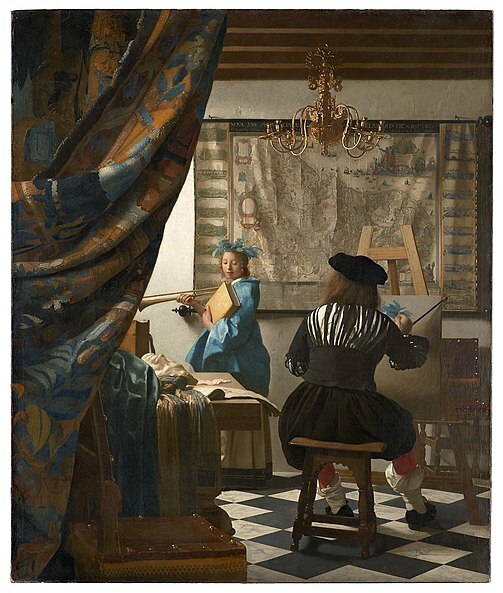 You can see that single out a woman, the floor is of the same tile, the composition is notably similar, some historians think the man is the same model (others believe “The Allegory of Painting” is self-portrait though), and colors and lighting are also similar as well as his expert treatment of the lush fabrics. I think its worth pointing out that the Modern art movement developed largely around questioning the what’s, why’s, and how’s of art with the intention of challenging the academy’s authority to distinguish between “good” and “bad” art. 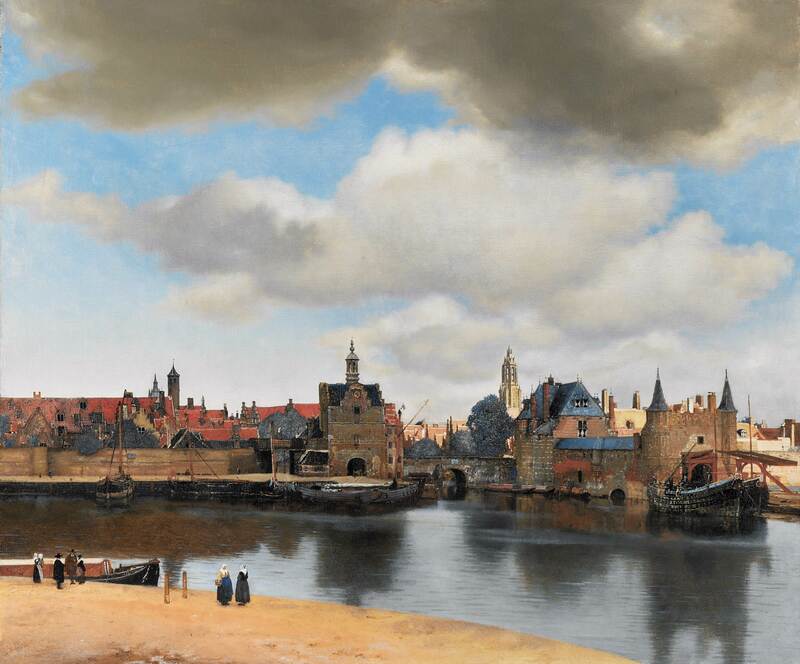 By ignoring basic artistic conventions, the premise of removing authorship arose and thus artists began to omit their signatures from their work. No finer example of this can be mentioned than Marcel DuChamp’s readymades. The readymades are Duchamp’s answer to the question, How can one make works of art that are not “of art”? They are incredibly impudent and Duchamp’s method was audacious: he withdrew the hand of the artist from the process of making art, substituted manufactured articles (some custom-made, some readymade) for articles made by the artist, and substituted random or nonrational procedures for conscious design. The results are works of art without any pretense of artifice, and unconcerned with imitating reality in any way. The readymades included found objects, objects he chose and deemed art presented unaltered largely the way he found them. Again, these objects lack completely any distinguishing traits that could single out DuChamp as the maker. And so, Modern Art was born and authorship— among other conventional definitions of art— became irrelevant. Well this post took a tangent toward Modern Art! But I suppose Modern Art is my favorite and I have been thinking about the period a lot here lately. I hope you guys enjoyed the extra art information. It seems that I need to to do a post on Damien Hirst and the Baroness soon. So recap: Artist’s hand refers to signifiers of authorship, that distinguish the art piece as being by this artist.